You'll be £25.00 closer to your next £10.00 credit when you purchase Mortal Wounds. What's this? Human beings have a violent past. Physical hostilities between people are at least as old as humanity and the roots of such behaviour go very deep. Earlier studies have been based on a range of sources including written documents, as well as archaeological evidence in the form of weapons, armour and defences. However, each of these is fraught with problems and there is in fact only one form of evidence that can both directly testify to past violence and which has also been present throughout the whole human story –the remains of past people themselves. 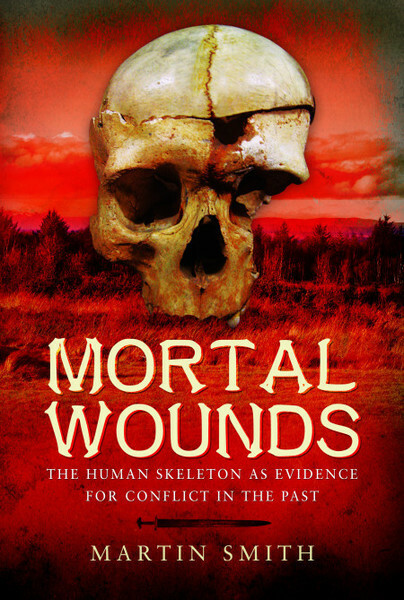 This book brings together a wealth of recently recognised evidence from preserved human skeletons to investigate a range of questions regarding the ways human beings have used violence to achieve their aims, in a single volume presenting this continuous thread of unbroken evidence from the early Stone Age to the 19th century. Who engaged in violence? Who were the victims? How have styles and objectives of conflict changed over time? How old is war and why did it appear when it did? All these and further questions are addressed in this cutting-edge book, the first of its kind to be aimed at the general reader and written for an audience that may not be familiar with what we can learn from the human skeleton about our shared past and the changing face of human conflict. Dr Martin Smith is Senior Lecturer in Forensic and Biological Anthropology at the University of Bournemouth. Martin Smith is a Biological Anthropologist with particular interests in prehistoric populations. His past work has covered a range of periods with particular focus on the Neolithic and concerned principally on areas of taphonomy and trauma with relevance to both forensic and archaeological remains. Martin has strong interests in the study of conflict from prehistoric to modern times. A question that continues to fascinate him is the extent to which war /organized conflict is ‘hard-wired’ in human beings rather than simply a practical response to environmental or social circumstances. His current research includes experimentation with weapons such as crossbows, blackpowder weapons and modern firearms on animal bone and synthetic substitutes for human bone.